This listing is for the design variation "Iconic Emblem" featuring a red prosthetic tail fin with an emblem of separated top half and bottom jaw of a white skull with horns. The material is surprisingly more soft and comfy than I was expecting. Fits true to size. 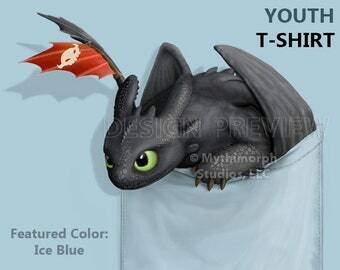 You can tell the print will not be prone to cracking or flaking unlike other T-shirts I've owned. Very soft, yet sturdy. 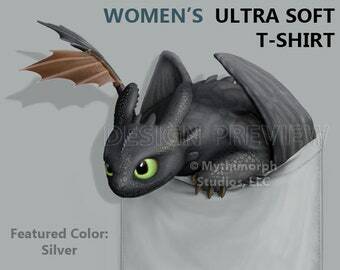 High quality, you can see all the itty-bitty details of the design with clarity. 10/10 Would buy from again. 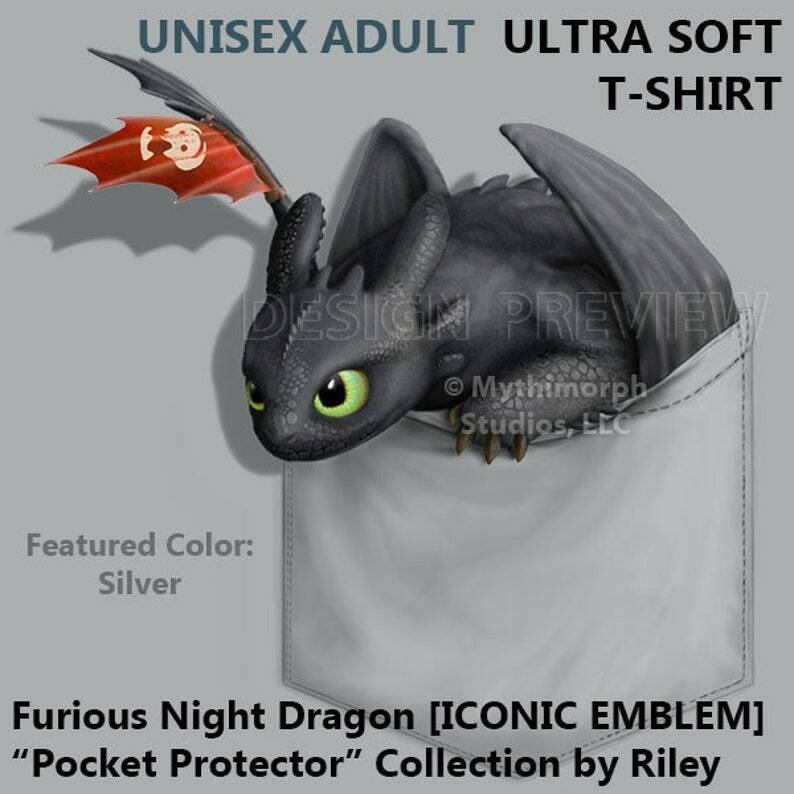 Adult T-Shirt: Furious Night Dragon [ICONIC EMBLEM] "Pocket Protector"
Youth T-Shirt: Furious Night Dragon [ICONIC EMBLEM] "Pocket Protector"
Adult Basic T-Shirt: Furious Night Dragon [CLASSIC EMBLEM] "Pocket Protector"